Program Meet pick from airport and proceed to World’s largest Elephant Orphanage in Pinnawela. Observe more than 100 Elephants are been fed, whole herd marching towards the river and bathing.Reach Sigiriya/ Habarana for the evening. Notes/ Tips Trekking boot and leach socks preferred if rainy season. While in Knuckles range on FB meal plan. Program Breakfast and take a trekking accompanied with a local guide around Paddy field (Rice field), Pyramid like LakengalaMountion and ThelgamuOya. Make sure to keep extra changing cloth to have a dip at natural pool. Program Breakfast, relax and travel to Kandy. Take a city tour including a drive to Kandy city view point, Gem museum and lapidary, and evening 17:30 Cultural show at the Kandyan Cultural Center. Evening visit to Temple of the Tooth Relic. Program Breakfast and visit Royal Botanical Garden in Peradeniya and drive to Kithulgala via Nawalapitiya. Get settled at camping site in Kithulgala. Notes/ Tips Trekking shows and insect repellent. DAY – 08	Drive to Thalawakele via Christ Church Warleigh, Castlereagh lake, Devon and St. Clair Falls. Program Breakfast and drive toTalawakele, en route drive up to Castlereagh lake and visit Christ Church Warleigh too. Stops at Devon and St. Clair falls. DAY – 09	Take a trekking up to St. Clair waterfalls and by noon proceed to Nuwara Eliya. Program Take a tea trail tracking up to St. Clair falls and proceed to Nuwara Eliya. Get settled at hotel and evening walk around the little town and spend the evening around Gregory’s lake. Program Early morning by 05:00 am proceed to Horton Plain Rain Forest and walk up to World’s end view point and Bakers falls. Take the noon train from Ohia train station to Ella. Train will take you through the best of tea fields in the Island. This train ride is been recommended as the worlds best scenic train ride. Your driver will pick from Ella train station and transfer to hotel. Notes/ Tips Basic walking shoes. Program Early morning refreshing walk up to little Adams peak view point and Demodara 9 arch rail bridge. By noon proceed to Yala/ Tissa, en route stop at Rawana falls. 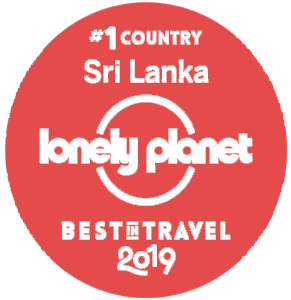 DAY – 12	Explore Yala park and drive to Mirissa. Program Early morning by 06:00 am explore Yala National park, which has the highest density of leopards in Asia. By noon proceed to Mirissa and get settled on the beach. Program By 06:30 am take a Whale & Dolphin watch cruise from Mirissa Fishing harbor and relax on the beach. Program Relax on the beach, and as per flight schedule visit Dutch Fort in Galle and transfer to airport via southern expressway. Traveled to Sri Lanka with my wife a couple of years ago.